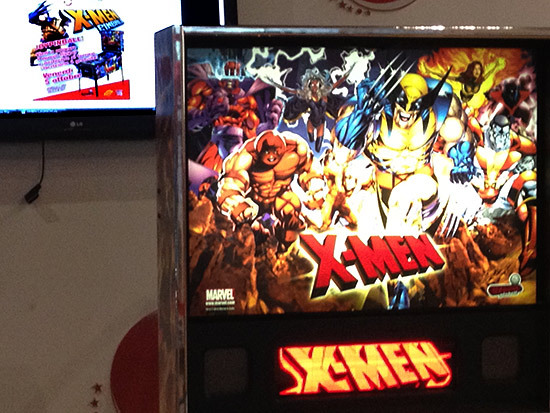 Like a celebrity movie premiere, the debut of the new Stern pinball machine - dedicated to the X-Men super hero comics - was presented over three wonderful nights, staring with the first national showing at the PlayCity arcade in Bicocca Village, Milan on September 28th, 2012. After that, two additional launch parties were held; one in Padua at Top Bowling of Campodarsego, and the other one in our capital, in the Joy Village amusement arcade at Parco de Medici. And the new pinball machine was greeted with real adulation by the crowd in the amusement arcade, where the pinball machine became, once again, an real attraction like it was many years ago. Thanks to the Launch Party - organized by Tecnoplay and IFPA Italia - in addition to presenting the new pinball machine, there was also the opportunity to compete in a tournament which qualified for World Pinball Player Ranking points. 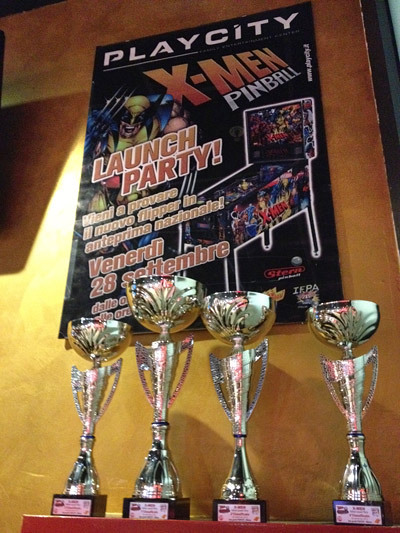 In Milan, the capital of the Lombardy region, the Milanese player Maccali Manuel won the official trophy of the Launch Party tournament, made by Stern Pinball and sent from their premises in Chicago especially for the occasion. Pierangelo Villa - the other Lombardy player - came in second place, Mario Anzini from Verona - one of the top five players in Italy - was in third place, while Roberto Pedroni - the other Milanese player - took fourth place. It was a performance of pure entertainment, with some flashes of high competitiveness, with the main Italian players, such as David Delprato - the number two in the Italian rankings - and Enrico Giorgio De Stefani - the number three, all in attendance. 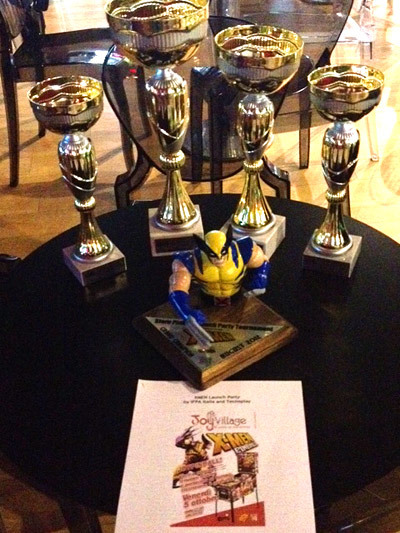 The following week (5th October) there was another night of glory for Italian pinball, and a doubly successful evening for X-Men. The newest Stern pinball was presented in two consecutive Launch Party events in Rome and Padua, both celebrating the debut of the new machine in Italy. 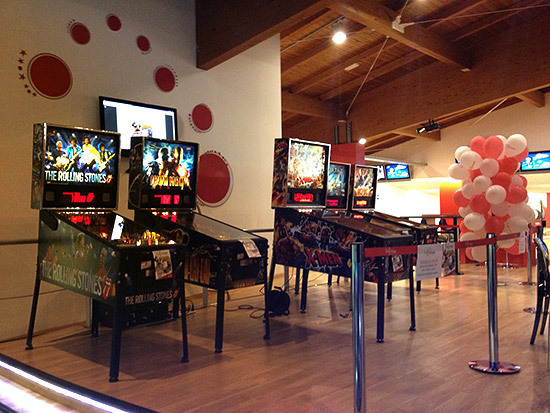 The two Launch Parties, as is traditional, were accompanied by pinball tournaments, both valid for WPPR international ranking points, although neither event led to big surprises in terms of results. In fact, in Rome, Daniele Celestino Acciari - the current World Champion - triumphed, while Mario Anzini - the former Italian Champion - won once again in Padua after coming close to victory last week in Milan in third place, but in fact only postponing the triumph for seven days. 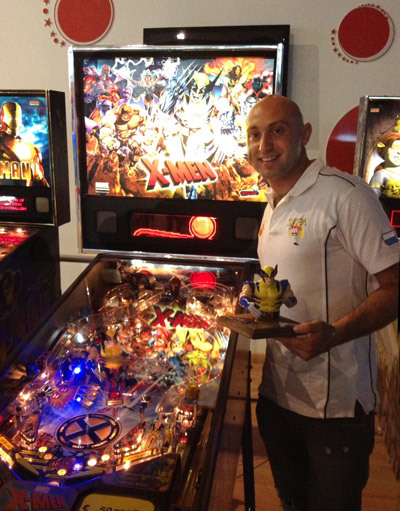 In the amusement arcade Joy Village in the capital, the launch of the new pinball was an opportunity to attract new players to the game, following the intentions of the organizers. So the newcomer, Daniele Mustari, stepped on to the podium following the world champion, while Enrico Di Cicco - another new player - ended fourth. By contrast, in Padua the challenge was more heated where despite 'Super' Mario Anzini confirming the expectations of being one of the pre-tournament favourites, he had to deal with other expert players who gave him a lot of trouble. One of those was the Paduan Matteo Pierobon, who ended in second place, and Cesare d'Atri, coming from Verona, who ended in third place. The newcomer David Tosato ended in fourth. 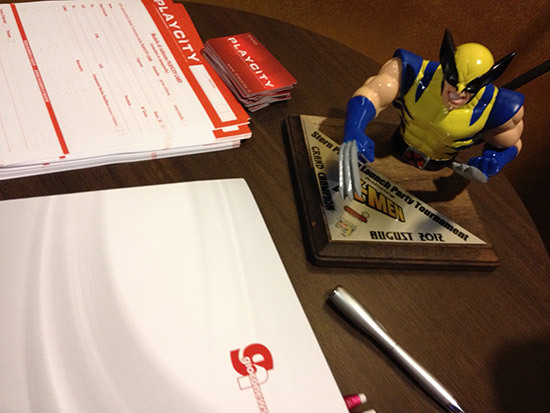 Great success, therefore, with the double tournaments introducing the new X-Men. And there was a new appointment scheduled for the following week - in Rome once again - at the new edition of the Rome Pinball Tournament which would take place, for the third consecutive time, as part of the Enada fair in Rome.